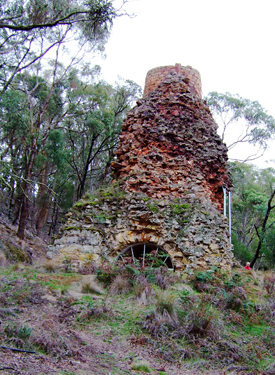 The Lal Lal blast furnace ruins rate as one of the most important and highly significant sites of early industrial history in Australia. 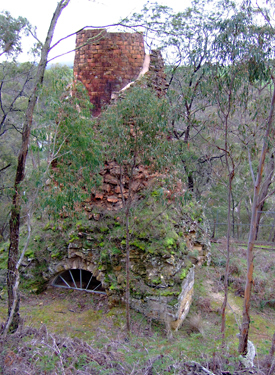 The blast furnace is the only one from the nineteenth century remaining in the Southern Hemisphere and it represents the only attempt to smelt iron ore in Victoria. It has an ‘A’ classification from the National Trust. The Lal Lal Iron Mining Company was formed in 1874. It set up an iron ore quarry and smelting works, which at its peak employed 160 men. Charcoal from local timber, brown coal from the area and Ballarat coke were all used as fuel for the smelting process. The mine reached its peak in 1884 when 1,600 tons of ore were smelted and 800 tons of pig iron were produced, however production rapidly declined after a few years. The Lal Lal blast furnace and iron mine are on Iron Mine Rd, at Lal Lal, near the spillway of the Bungal Dam. 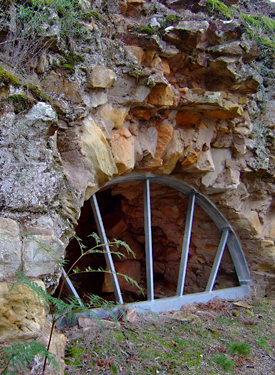 The ruins of the 17-metre-high furnace and the adjacent iron mine are clearly visible in the bush and information boards explain the operations of this amazing relic of early Victorian industry.